This post contains the dates and a brief explanation of all the public and national holidays in Nigeria. 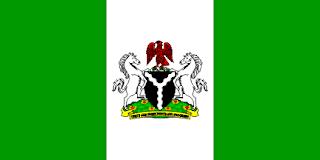 These holidays are observed in Nigeria and also in s Nigeria's Embassies and Consulates abroad. This list will serve as a guide to Nigerians living in Nigeria and Nigerians living in Diaspora. New Year's Day is 1st January, the first day of the year, in the Gregorian calendar,this date falls exactly one week after the Christmas Day of the previous year which is the 25th. New Year's Day is a public holiday in all countries that observe the Gregorian calendar,apart from Israel. The new year is the most widely observed public holiday in the world. The United Nations has declared March 8th to be a day when the world shall celebrate Women. resurrection of Jesus Christ, the Son of God,whose life and teachings are the foundation of Christianity. Good Friday is a day of mourning,church services are held and christians meditate on Jesus's suffering and death on the cross, and it's significance. Easter Monday is a Christian holiday celebrated the day after Easter Sunday. Easter is celebrated each year to celebrate the Resurrection of Jesus from the dead after his death by crucifixion on the cross. Workers day is a public holiday celebrated in over 80 countries of the world,it's also known as labor day or International Worker's Day. Some countries like Canada, Australia, New Zealand and the Netherlands acelebrate Labour Day on different dates. Children's day is a public holiday for Primary and Secondary school children in Nigeria. A public holiday to commemorate the restoration of democracy in 1999. It is always celebrated on 29 May. The festival of Eid al-Fitr, the Festival of Fast breaking, marks the end of Ramadan. Known as Eid al-Adha, Eid ul Adha, Id-ul-Azha, Id-ul-Zuha, Hari Raya Haji, Greater Eid or Bakr-id. The 'Feast of Sacrifice' is the most important feast of the Muslim calendar. This is the national day of Nigeria,it is always celebrated on 1 October. It marks the Independence from the United Kingdom in 1960. Christmas day is celebrated by over two billion people in the world,over a third of the world's population will will celebrate the birth of Christ on the 25th which according to tradition took place on 25th December 1 BC. December 25 is a public holiday in major cities around the world,this period of time is also the busiest time of the year in the world. The exact origin of "Boxing Day" is unknown,however in Nigeria,boxing events and tournaments are held across the country.